It is almost magical to watch young children take to their first experiences with a tablet computer like the Apple iPad. It comes so naturally for them, almost as easy as finger-painting and also akin to how they can naturally pick up a second language...the language of interacting with a computing device. You can only imagine what this new generation will be like brought up on such instant access, always available information at their fingertips. And while it is true that young children are playing on all manner of smart devices like iPhones and tablets nowadays, it only makes sense that they would have their own tailored device as the price of technology continues to become cheaper. So it is not surprising that this holiday season Toys R Us plans to introduce a small tablet aimed at kids ages six years and up. The device is called the Nabi and features a 7 inch multi-touch display, Wi-Fi connectivity and a 1.3 megapixel front-facing camera. 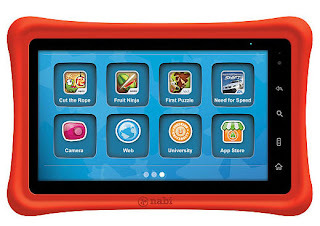 The Nabi has a streamlined user interface with large application icons and a kid-friendly web browser that allows up to 5 hours of finger tapping education and entertainment. Like other Google Android tablets (which is the software that the Nabi is built on top of), it allows the little ones to surf the web, watch high-def movies and television shows, read books and run Android applications. 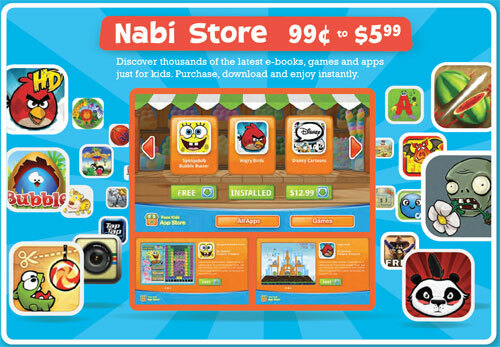 Prepackaged on the device is over $150 worth of games, music, apps and books as well as ready to run over 500 applications and games tailored to kids at the Nabi App Store. Included content on the Nabi is the award-winning Fooz Kids University with over 22,000 state standardized math skills covering grades Pre-K through 5th. A Design Studio with 30+ apps for the kids to draw, paint and even create their own professional looking storybooks to share with friends and family. Speaking of books, the included library of 30 ebooks and interactive stories encourage kids to read and explore. 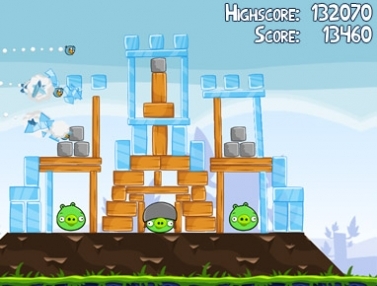 And what would a kids device be without games! You get the prerequisite classics Angry Birds, Cut the Rope, Fruit Ninja as well as the car racing game Need for Speed. And if the parents are feeling left out or the kids are off to bed, Toys R Us has a special "Mommy Mode" (no idea why us Dads were left out) which unlocks the full Android tablet within. Overall the device appears to be thoughtfully designed for kids with a rubberized/padded outer frame and recessed monitor. 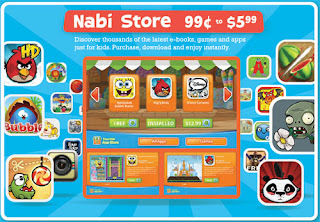 You can preorder the $200 Nabi at Toys R Us now with an estimated shipping date of 12/1/2011...just in time for Christmas. If you want to read about my thoughts around the whole tablet marketplace as it currently stands...check out my other article titled "No idea why someone would buy any tablet other than an iPad". 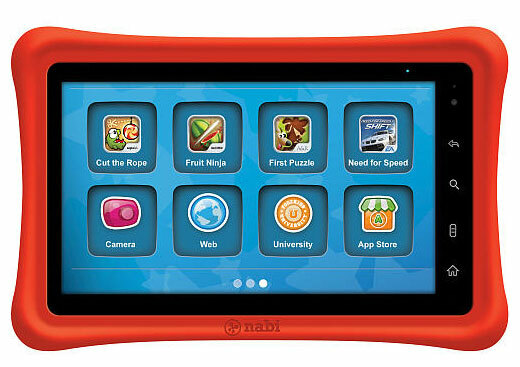 Please be sure to comment below and share your experiences with Nabi, other kids tech or tablets in general. You can also follow me on Twitter or Facebook.